AUSTIN - Changes are happening at the convergence of MoPac Expressway and US 183. 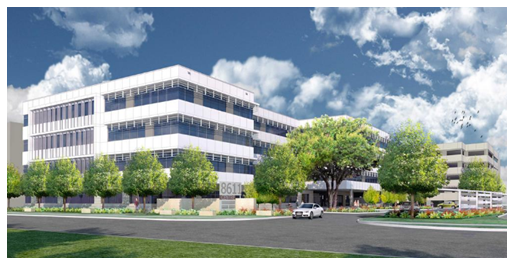 The Atrium Office Center at 8701 N. MoPac Expressway has been purchased. The 121,000-sf building sold in August 2016 for an undisclosed price. Major upgrades to the Atrium are underway, including a new roof, new elevators, and a renovated lobby. Additionally, there are plans to build a 100,000-sf office building, dubbed "MoPac Centre" nearby at 8611 N. MoPac Expressway. The MoPac Centre project has begun and will be built at the former Shoal Crossing Events Center which is currently being demolished. The overall idea is to build a more comprehensive office park or corporate campus environment. ​Learn more with Austin Office Market Research.